World War 3 doesn't need a clever name to set it apart from the rest of the shooters out there, because it has plenty that does that for it already. Shacknews sat down with The Farm 51's Kamil Bilczyński, lead designer on the game, to chat about the ambitious shooter and everything it has to offer. 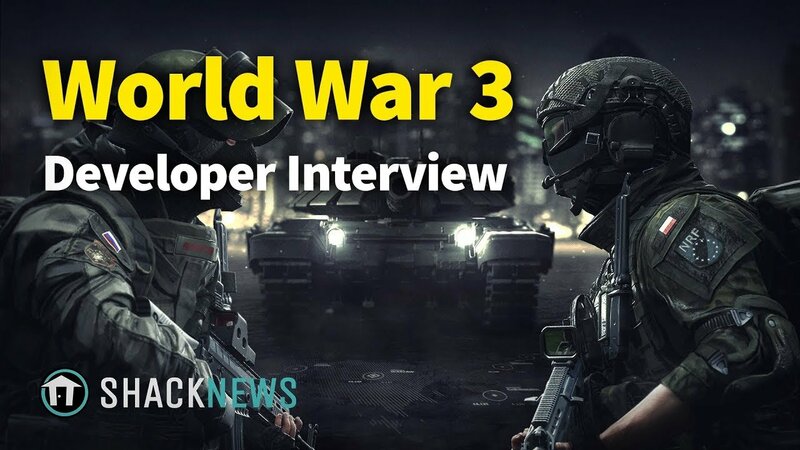 "We want to show what World War 3 in the future could look like if it happened," said Bilczyński of the game, which follows a global conflict as it takes the third worldwide war to Berlin, Moscow, Warsaw, and a variety of other locations. "It's a first-person experience, so it's much closer to the Battlefield experience," Bilczyński said of what players will be able to expect – it won't be taking its cues from battle royale games like PUBG, if you were curious about where it'll fit in the current state of games. Check out the interview above and let us know what you think about the latest shooter to join the crop of franchises out there. For more great videos, including games convention coverage and developer interviews, be sure to check out Shacknews and GamerHub.tv over on YouTube.